The Ring Road is the journey on the road par excellence, thanks to the amazing natural attractions. We focus on the north, full of natural treasures and traditions. 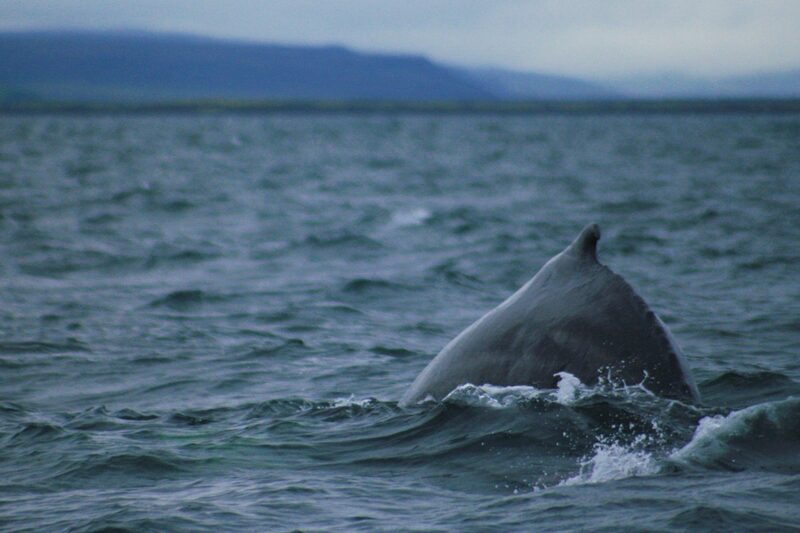 We aim at making our travelers get close to Icelandic culture, ancient and modern. Arrival in Keflavík and transfer to Reykjavík in shared shuttle (frequent departures). Meeting with the guide and, depending on the arrival time, visit to some of the main representative places. Among these, the enchanting Tjörnin lake and the Harpa, iconic glass building by the sea. We can’t miss a visit to the majestic Hallgrímskirkja. 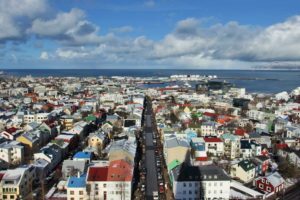 Moreover, Reykjavík is a perfect city for a stroll, and it’s very nice just to take shelter in one of the historic cafes, to warm up with a kaffi or kókó. Overnight stay in a central hotel. First stops are the ones of the Golden Circle. We start with Þingvellir National Park, place of the first parliament, where it’s possible to admire one of the most impressive tectonic plates. 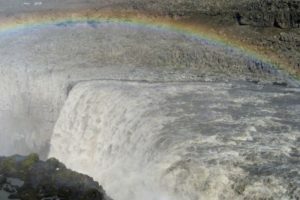 We move then to Geysir geothermal area, which gave the name to this natural phenomenon, and to Gullfoss, queen of the Icelandic waterfalls with its double jump. Heading south we encounter other waterfalls. 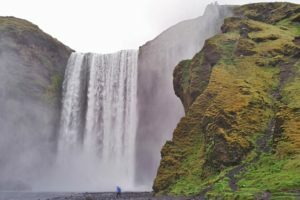 The first one is the romantic Seljalandsfoss, where it’s possible to walk all around its jet; the next one is the perfect Skógafoss, in the tiny village of Skógar, last stop of the day. Overnight stay in hotel, few meters from Skógafoss. In the morning, before reaching Vík, there are a couple of stops: the first one is the promontory of Dyrhólaey, where we can see funny puffins until the middle of August, but which gives us actually amazing ocean landscapes all year around, and the second one is the dark beach of Reynisfjara. We then reach the region of the majestic Vatnajökull, the biggest glacier in Europe and third ice sheet in the world. 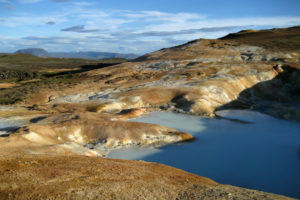 We stop at Skaftafell National Park, which offers excellent excursions. 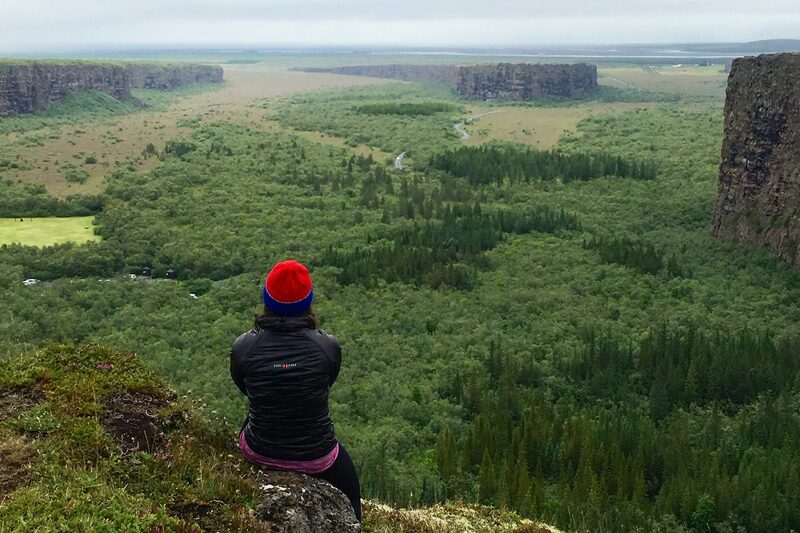 If the weather allows it, we’ll walk an easy circular hike that brings to the elegant Svartifoss (5,5km with soft difference in height). Next stop is at the Svínafellsjökull, the most spectacular ice tongue, not far from Skaftafell. At the Jökulsárlón lagoon, we find ice again, but in a different form: here we can see hundreds of icebergs in different shapes, fluctuating and sparkling under the sun or hiding the haze. Then we reach the diamond beach, where the icebergs meet the sea and glitter on the black sand. 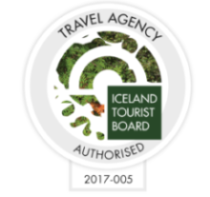 Overnight stay in Höfn, in a guesthouse in the village or in a cottage just out of the village. 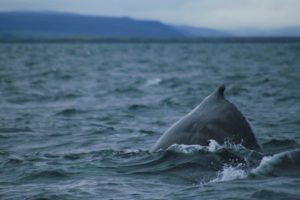 We reach Djúpivogur in the morning, and there we visit a peculiar outdoor museum, managed by a funny and unpredictable whale bones cleaner, famous worldwide. Through the spectacular pass of Öxi, we reach Egilsstaðir, that lies on the shores of lake Lagarfljót, where a sort of Icelandic Loch Ness monster would live (many people swear they saw it). Depending on the weather conditions, we’ll go along the lake, until the west shore, from where we can leave for a short – though difficult – path to reach an underestimated waterfall, Hengifoss (2,2km with 150mt climb up, one way). 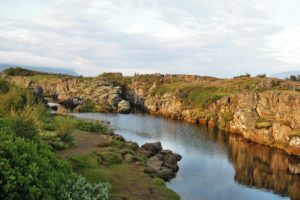 Alternatively, we can reach Borgarfjördur Eystri, a small village set in a fascinating fjord, where until the middle of August it’s possible to see puffins, and where we can visit the stone-residence of the queen of the elves. In the evening we arrive in Seyðisfjördur, a very nice town in the fjord, where there is a unique blue wooden church. 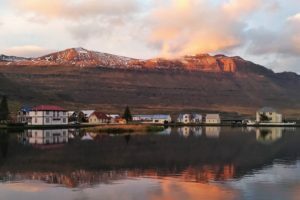 Overnight stay in Seyðisfjördur, in an apartment in town or in the cottages just outside of town. Going west, the green landscape turns into a desolate land which makes you think to be on the Moon. 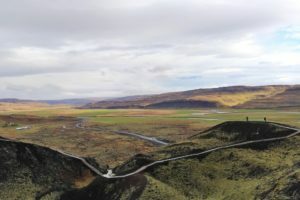 Proceeding along The Ring Road, we reach the road on the marvelous Jökulsárgljúfur canyon. Here, through a more and more lunar landscape, we visit the majestic waterfall of Dettifoss, a true power of nature, and the beautiful Hafragilsfoss, positioned in the most spectacular section of the Jökulsárgljúfur. Finally, at the end of the Jökulsárgljúfur, we visit the impressive canyon of Ásbyrgi, which they say it was formed by Odin’s horse and now it is thought to be the home of the hidden people. 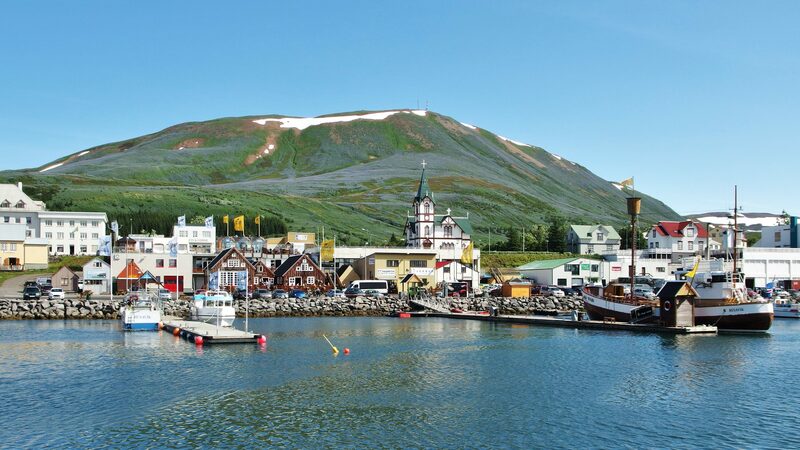 On the way towards Húsavík, it is possible to have a coffee in a beautiful guesthouse on the shore, in a peaceful little harbour in Tjörnes peninsula. 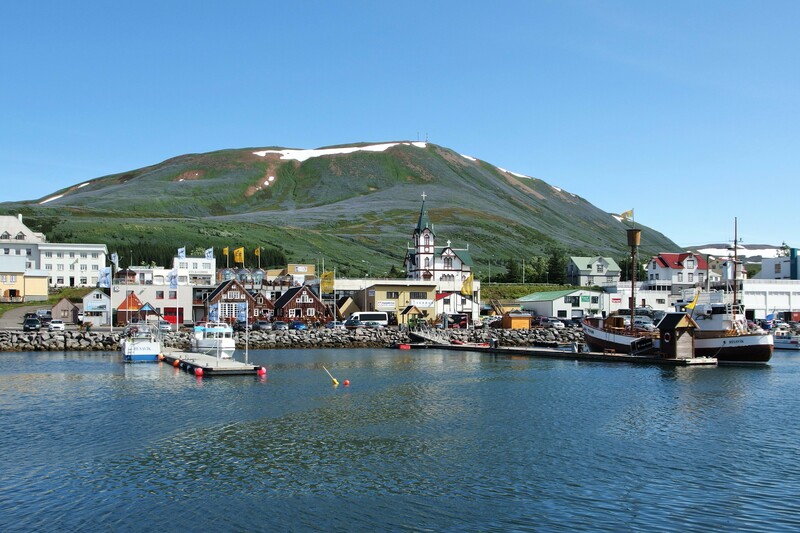 Overnight stay in Húsavík in an apartment in town or in a farmhouse just outside of town. 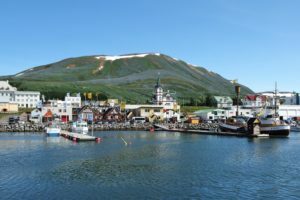 A day completely dedicated to the idyllic town of Húsavík, laid down on the east shore of Skjálfandi Bay, and famous in the world for the whale watching. First of all we visit the Whale Museum, unique in all Europe, and then we’ll meet (hopefully!) the giants of the sea. Then, there will be a walking tour through the town, to find out the hidden spots and the local stories. 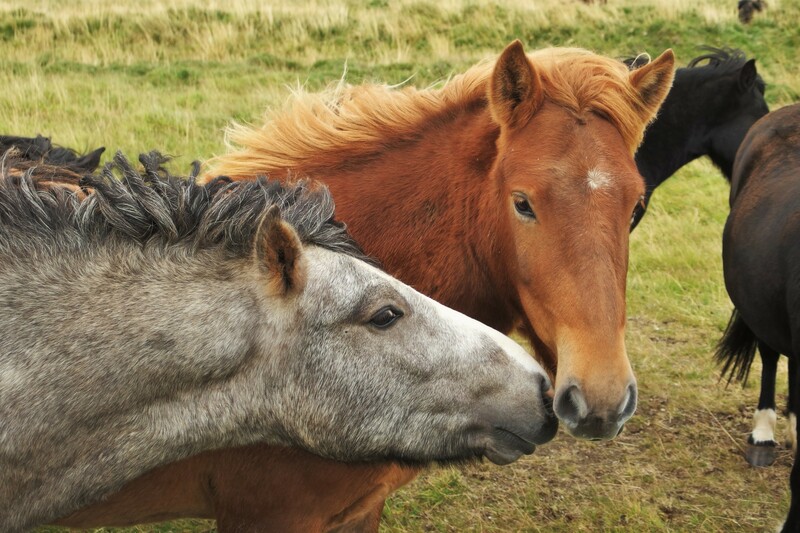 At the end of the day, we recommend the peculiar Exploration Museum or, alternatively, a horseback riding. In the evening you can relax at the GeoSea, amazing thermal pool on top of the hill, just above the Ocean. 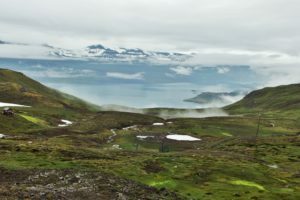 Second overnight stay in Húsavík, in an apartment in town or in a farmhouse just outside of town. The day is entirely dedicated to Mývatn area, one of the most varied places in Iceland. 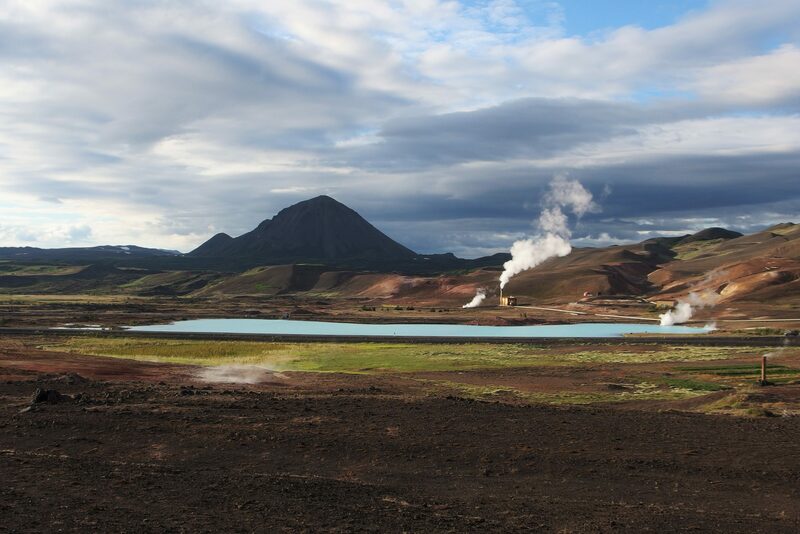 We start at the volcanic area of Krafla, and then we move to the geothermal area of Hverir, the place on Earth which is the most similar to Mars. 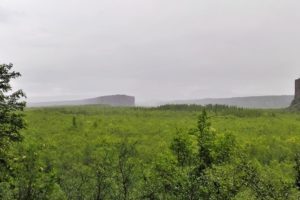 Among the attractions, the lava field of Dimmuborgir and the pseudo-craters of Skútustaðagígar (geological formations you can find only here and on Mars). To end the day in the best way, we bath in the paradisiacal Jarðböðin, sister – less touristic – of the Blue Lagoon. Third overnight stay in Húsavík, in an apartment in town or in a farmhouse just outside of town. After two relaxed days, it’s time to get going. First stop is at Goðafoss, scenographic waterfall of semicircular shape. 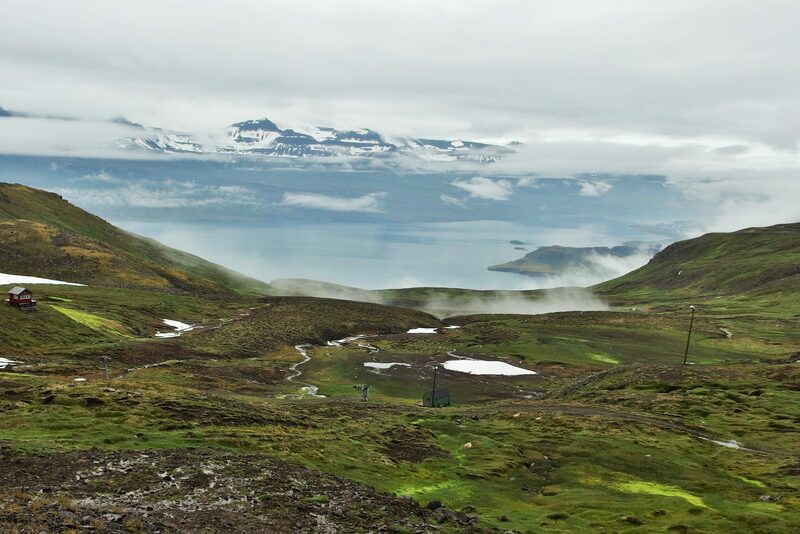 Then we reach Akureyri, the capital in the north, where there is a very nice botanic garden. Proceeding west, we get through the pass of Öxnadalsheiði, until Varmahlíð, close to Glaumbær, the most iconic turf roof farm and also close to Víðimýrarkirkja, a pretty black little church, again with a turf roof. 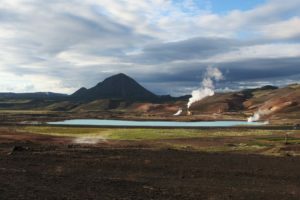 After that, we keep going towards Bifröst, and before reaching it, it’s possible to climb the impressive volcanic crater of Grábrók. We then arrive in Reykjavík, after crossing the underwater tunnel in Hvalfjörður. Overnight stay in a central hotel. 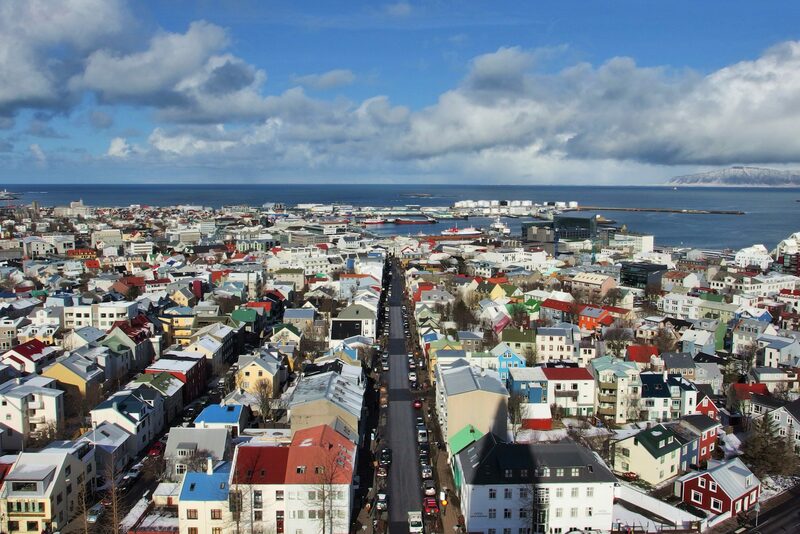 Depending on the time of the flight, you can explore what Reykjavík has to offer. Departure towards the airport in shared shuttle, with the option to stop at the famous Blue Lagoon to relax before departure. Return flight. Availability: All year round. Please note that itinerary might vary depending on the season chosen! 12.07.2019 – 20.07.2019 – 1 seat left! 23.08.2019 – 31.08.2019 – 2 seats left! 07.09.2019 – 15.09.2019 – 2 seats left! On request, private tours available all the other days. Please note: minimum number of participant is 7, maximum number of participant is 8. Bookings: for scheduled departures, please use the form below. For other departures and special requests, please contact us.